The Gordon River hosts some of Tasmania’s best experiences, and a cruise along this natural highway is one of the best ways to see the natural beauty of the state from the luxury of a catamaran cruise ship. You’ll pass by incredible natural landmarks like the Hell’s Gate, which mark the entrance to Macquarie Harbour from the Southern Ocean, you’ll see the and visit the sinister Sarah Island, home to Australia’s oldest and most remote penal colony. Journey through overwhelmingly stunning Tasmanian Wilderness, the World Heritage Area is magnificent and humbling. 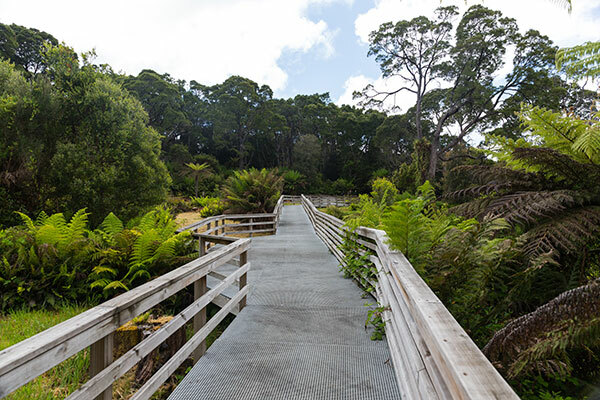 Stand amongst some of the oldest trees in the world, the Huon Pines. The river is truly remote, devoid of residents along it’s 117 mile route and fortified in its natural tranquility. Even at the river mouth, it’s easy to capture a sense of life as an early 1800’s settler, with the nearby prison at Sarah Island housing some of Australia’s most fearsome convicts and nothing but the wilderness in any direction. Cruises take between 3.5 to 6 hours depending on whether you choose a morning or afternoon option. 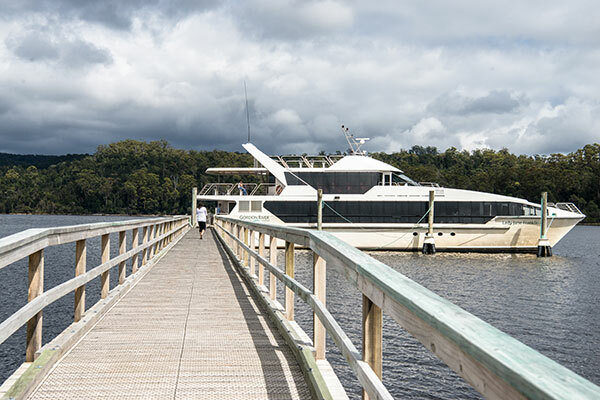 Gordon River Cruises operate the Lady Jane Franklin II, a ship designed to cruise comfortably and smoothly on the Gordon river. Immersive floor to ceiling glass windows mean you can take it all in from within the comfortable confines of the cabin and there are different package options to choose from depending on your budget. The shorter 3.5 hour afternoon cruise has you on a leisurely trip up the river, spotting the Huon Pine from the deck and enjoying narration from your captain about the history and characters of the region. You get enjoy a taste of unique leatherwood honey, collected amongst the native leatherwood trees that line the riverbank. Also swinging by for a look at the Hell’s Gate and ending when returning to Strahan.